Mixed-aged classes include children from two consecutive grades in one classroom. A mixed-age program allows each child to move through content and skill areas at their own pace, while teachers tailor instruction according to each student’s readiness level and ability. Research has shown that children in mixed-age classrooms have increased social and emotional understanding, engage in both collaborative and independent learning with greater ease, and have more positive peer interactions than their counterparts in single-grade classrooms. 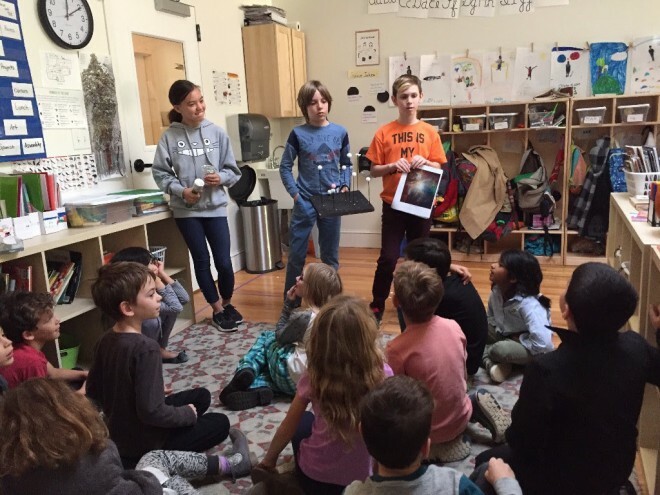 Additionally, mixed-age classes provide children with more opportunities to become leaders in their own learning and within their community of learners as they display greater feelings of comfort and security. Our teachers are trained to meet the diverse and varying learning styles of our students. Teachers use direct instruction with individuals, small flexible groups or the whole class to develop necessary skills and concepts, and to promote learning among peers. Our team has developed an integrated curriculum approach, which allows separate curriculum areas to be integrated in a meaningful way and develops student choice and ownership through activities that are tailored to their interests.